← Brother can you spare a dime?! 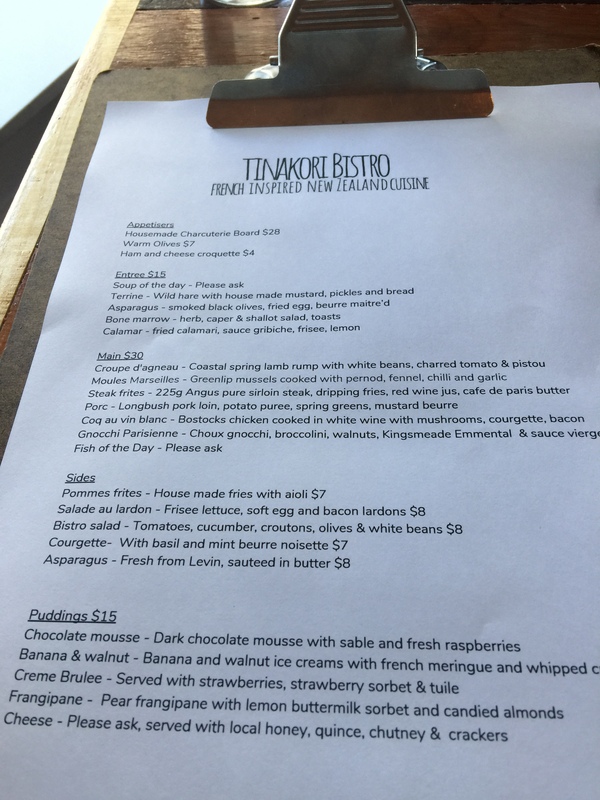 I’m so pleased Tinakori Bistro was salvaged from shutting down. What a survivor as it’s been around for donkeys. We hadn’t been here for donkeys either. The décor hasn’t changed but boy the menu and cuisine has. 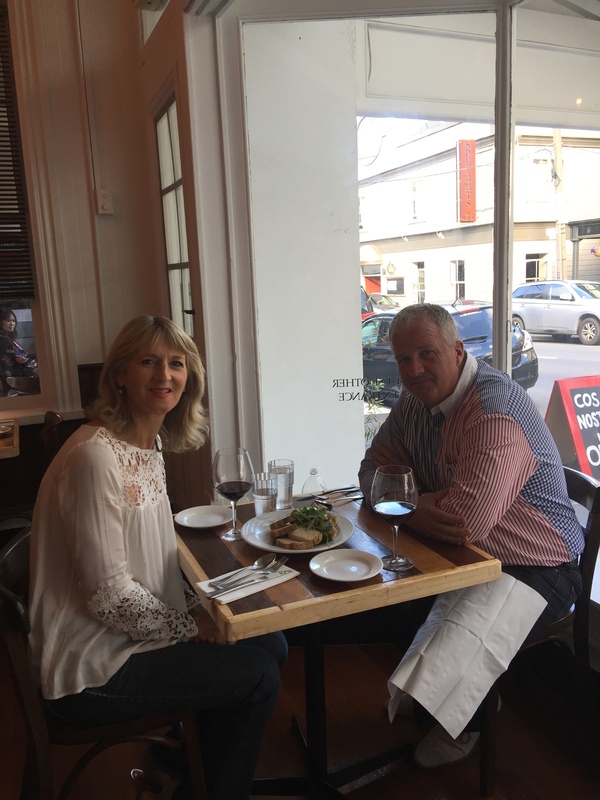 French is our ultimate fave and especially a treat for my birthday.To have Eva, a Parisian, serve us with the strongest accent, was sublime. She was a passionate foodie (naturalement), funny and had no filter. 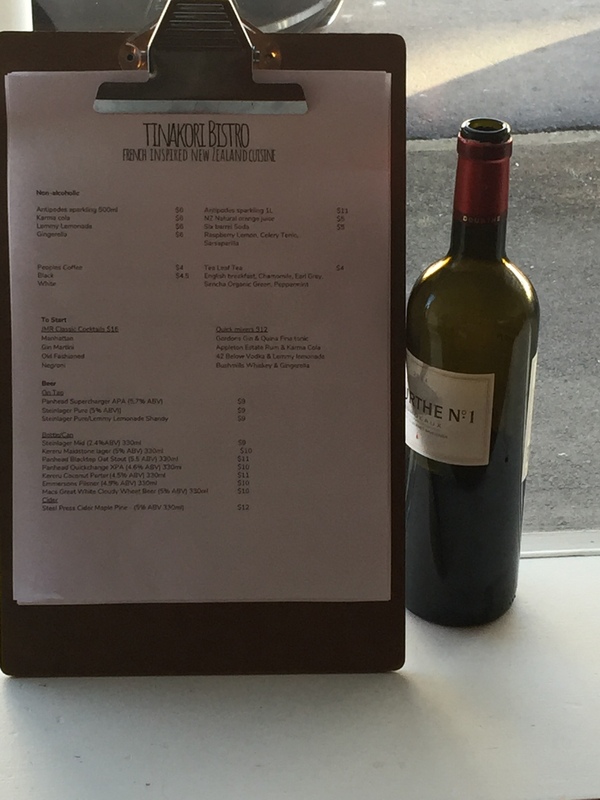 The wine menu was very extensive with a list of affordable and expensive wines. Our first bottle of wine we ordered was not in stock. Don’t you hate that when you deliberate over a good choice. 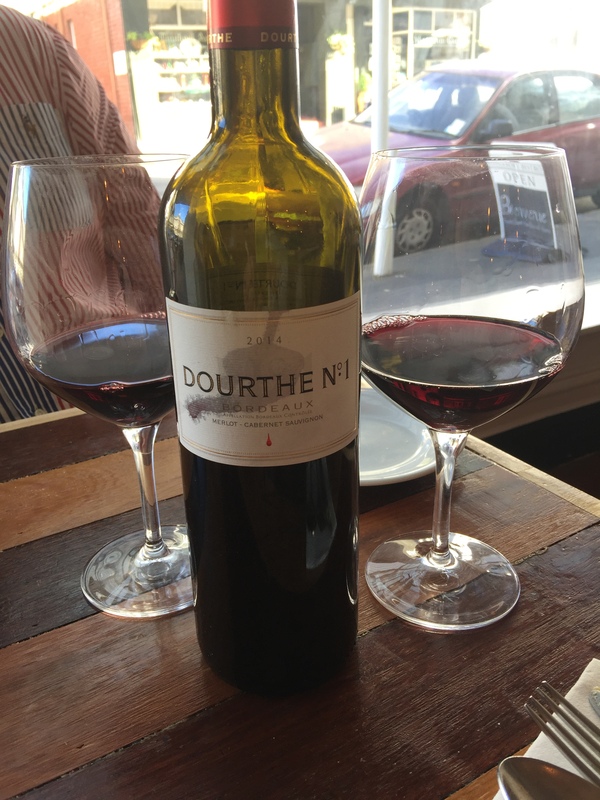 Eva recommended another Bordeaux, $20 dearer than the original of course, but it was very good. 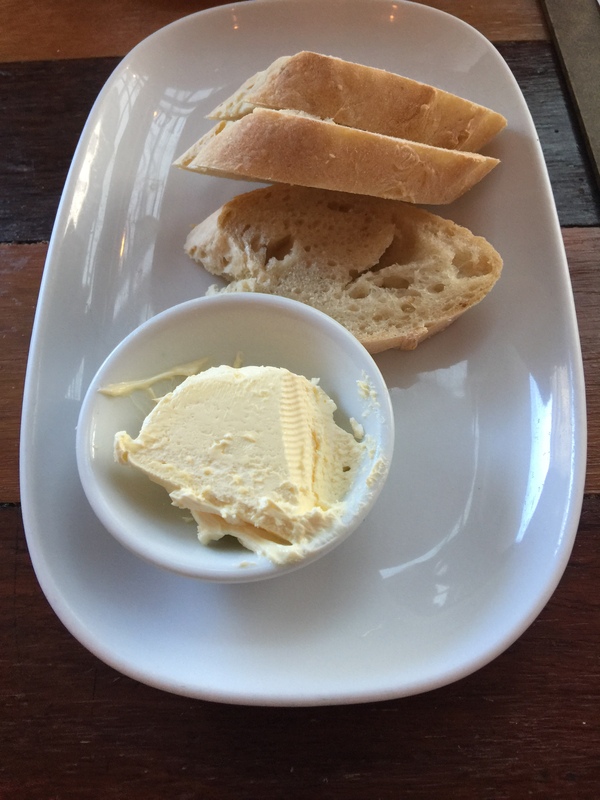 4 slices of gratis baguette with a yummy cheesy-like whipped butter was delivered to the table. When Eva popped back, she noticed the empty bread basket. Looking at my husband, she boldly said “oh you’ve eaten it all already”! Of course I only had one slice as we know it’s such an appetite spoiler. However delicious it is, it’s gluten and sugar and definitely a nice treat. 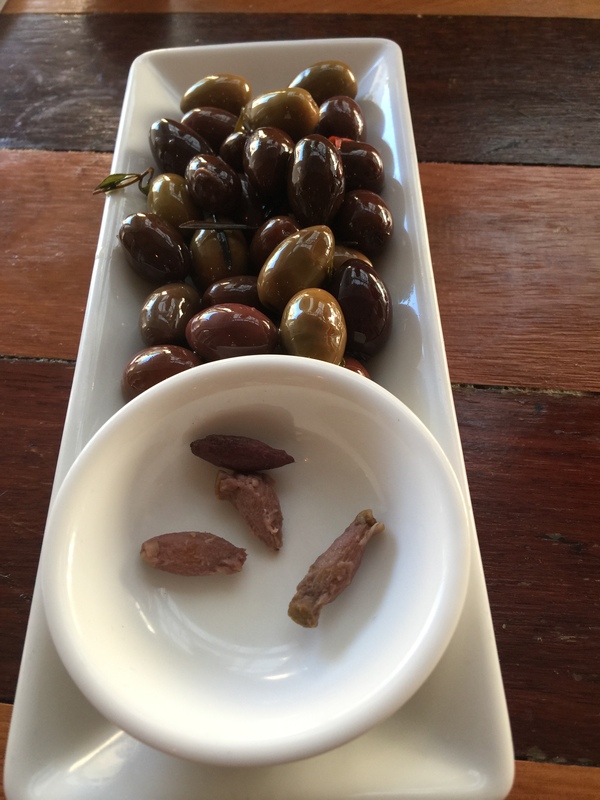 We ordered an appetiser of warm olives infused with rosemary. These were da bomb. Other options were a charcuterie board or a ham/cheese croquette. In between our entree order, Eva asked us did we have kids and why didn’t we have kids and how old was I? We just burst out laughing and didn’t try explaining PC. We just answered. 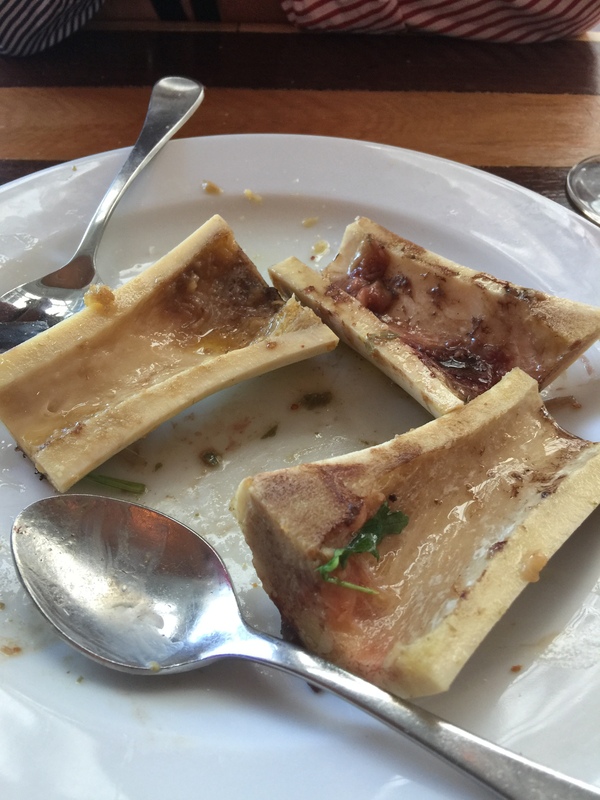 Our very paleo, gut-friendly, bone marrow dish was divine. 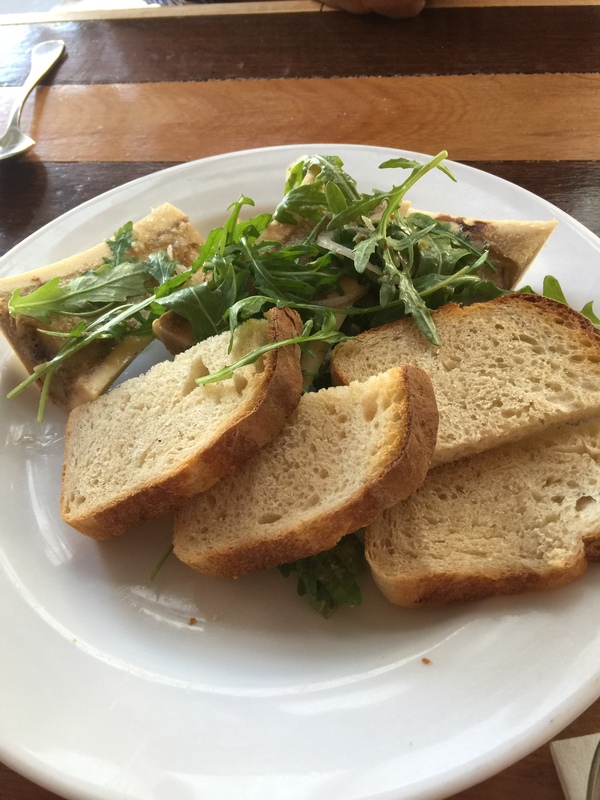 Of course it was served with loads more toasted bread. You do need a little bread with this, but the trick is to get by with one slice. Other entrees were soup, terrine, asparagus (which sounded delicious), and calamari. 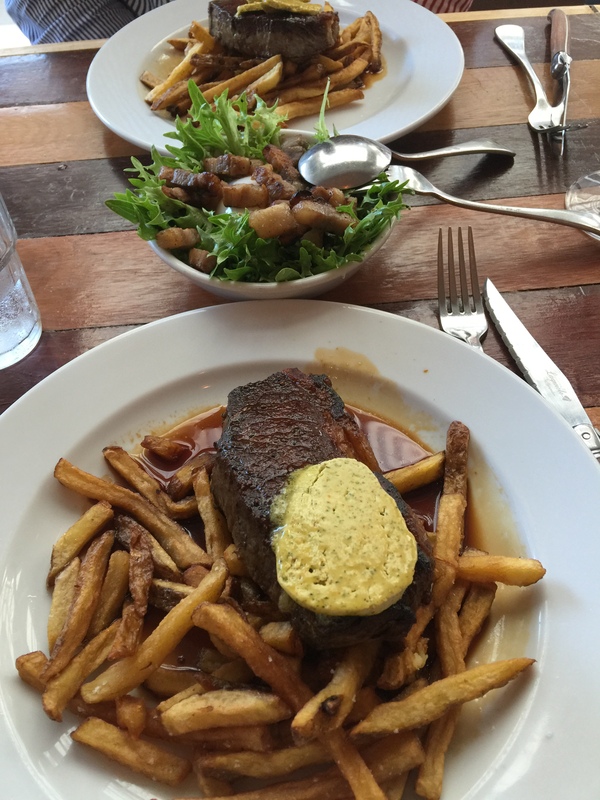 For mains, we went matchy match steak frites. How could we not? It was very good quality Angus beef sirloin, with dripping fries, red wine jus and café de paris butter. Our wee green side salad with lardons and egg was exceptional, however I was eyeing up the asparagus and courgette side salads too. Just a plain green salad with vinaigrette would have been perfect. 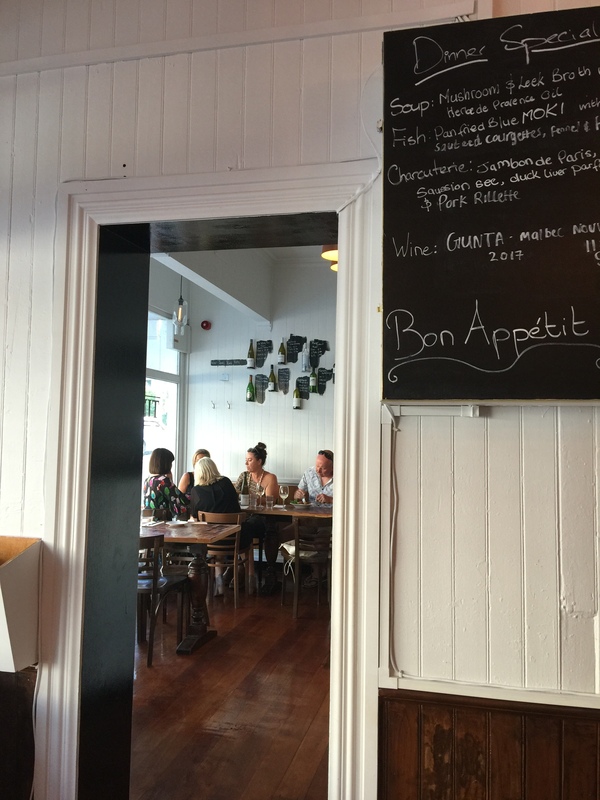 Other mains were fish, lamb rump, mussels, pork, coq au vin (and kudos to them that they only use the Bostock brand. I’ve switched to this brand too from Moore Wilson’s- organic and free range. You can taste the difference by a country mile vs standard free range chicken. The main I’d come back to try for would be the gnocchi served with broccolini, walnuts and emmenthal. Eva was horrified I wouldn’t try a dessert on my birthday! She said she had a sweet tooth and was in love with Moore Wilson’s large bags of chocolate fish. In my past life, I probably would have tried the crème brulee or frangipane however there was just no room in my tummy. And there was enough sugar in our wine, bread, sauce and frites. She did deliver us a wee dish of tiny chopped up mint chocolate pieces, which always sweetens the bill right?! I won’t go into her asking about what we were getting up to later. Her excuse- “but I’m French”! We did tip Eva, as she was a delight, and quite refreshing. 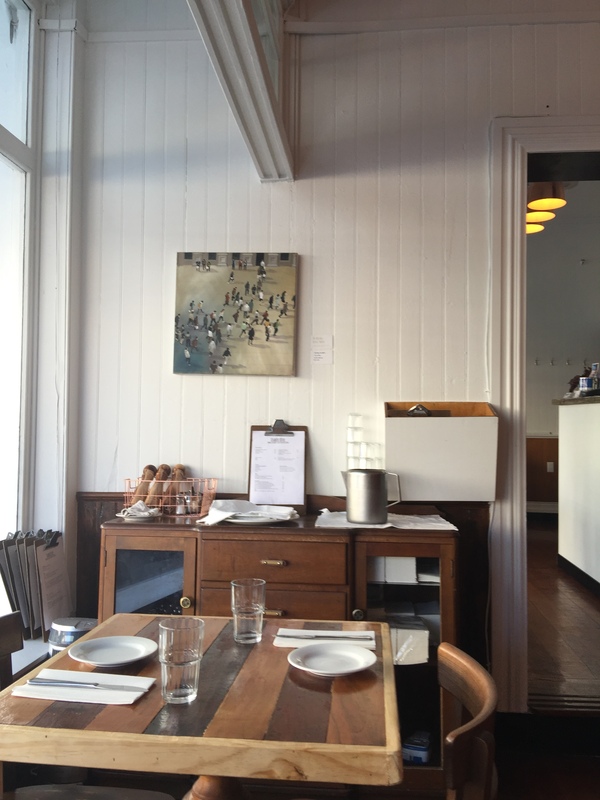 This is such a fab place for a romantic dinner (with Eva being a cute raspberry), or classy night out with friends. Go treat yourselves. It’s very authentic French cuisine. 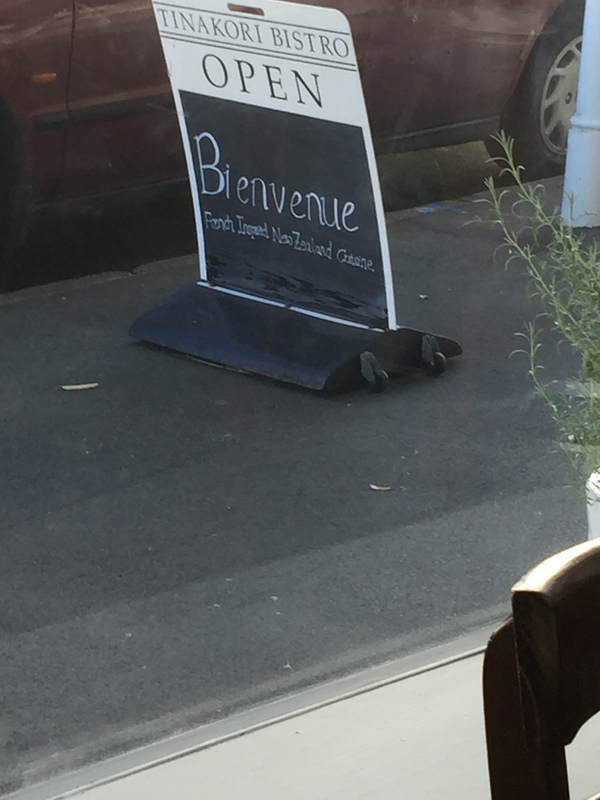 Merci chef. 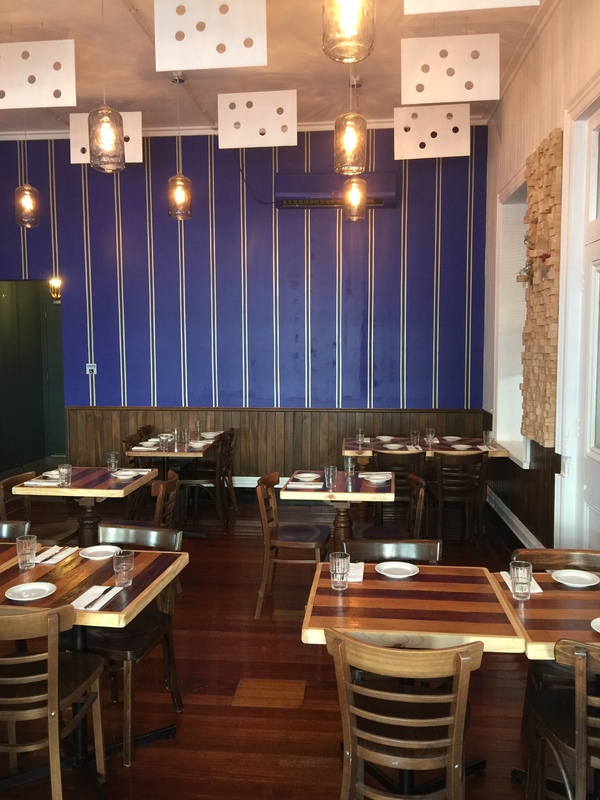 Tinakori Bistro is a survivor and will stay alive for sometime. Do you know if it is still BYO?We used to go here a lot but weren’t to fussed on the last owners food. Hell no. Only Asian places or the Italian Cosa Nostra next door are BYO nowdays. Wine $50-$120+ per bottle.